Offices of Jack L. Moser, Jr.
SERIOUS REPRESENTATION FOR A REASONABLE FEE. If you are launching a new business in Ohio; or if you need legal help with business formation, commercial contracts, or lease negotiations, our knowledgeable and experienced attorneys provide accomplished legal assistance for small and medium sized business owners, new entrepreneurs, organizations of all types (business, non-profit, and government), in central Ohio, surrounding counties, as well as the rest of the state. Our skilled and qualified business lawyers help set- up, structure, and start-up new Ohio business ventures, regardless whether such ventures are a corporation, limited liability company, or some other venture. 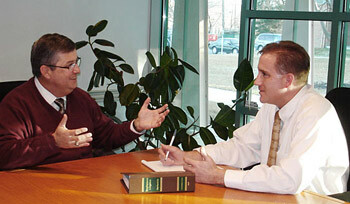 Our attorneys also help owners buy or sell businesses or other undertakings. And we provide professional legal advice for operating your Ohio business as it grows. Contracting, commercial contracts and leases, employment agreements, government regulations compliance. Good attorneys should be proactive to help their business clients stay out of a lawsuit or court of law. A high-quality business attorney, however, also must be an effective trial advocate in the event that a lawsuit and ensuing litigation arises. If your business enterprise or organization is facing commercial litigation or if your business is being sued in a court of law, the attorneys at the Law Offices of Jack L. Moser, Jr., are experienced, accessible, and we provide serious aggressive representation to all business clients that have to protect or defend business rights in a court of law. Regardless of the location of your business entity or legal dispute, if your Ohio business is in need of experienced, skilled, and aggressive business law attorneys, our knowledgeable and qualified attorneys can provide your business with serious and aggressive representation.